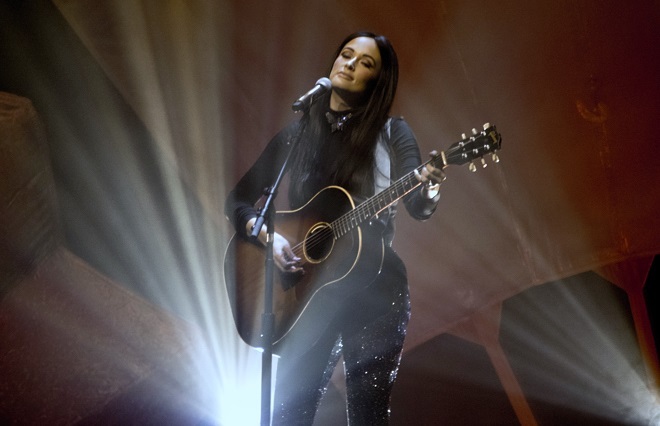 As far as Country music goes there’s one name on everyone’s lips at present, the golden girl of the genre – and who in an odd touch of synchronicity was actually born in Golden, Texas – and that’s Kacey Musgraves. 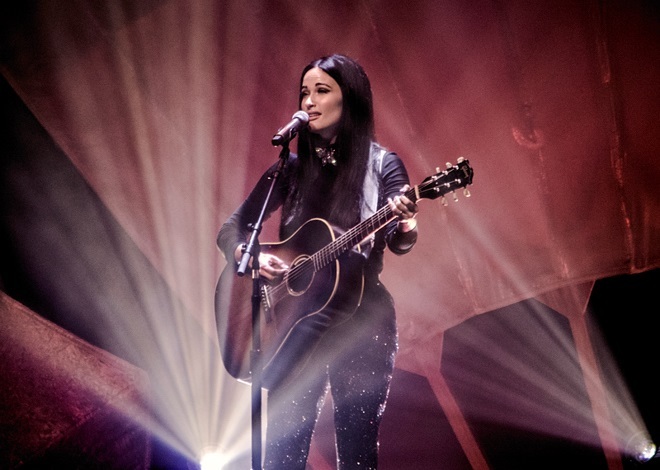 Currently towards the tail end of her successful ‘Oh, What a World’ tour, she performed at Sage Gateshead on 1 November, the set largely focusing on her latest album, the Golden Hour. 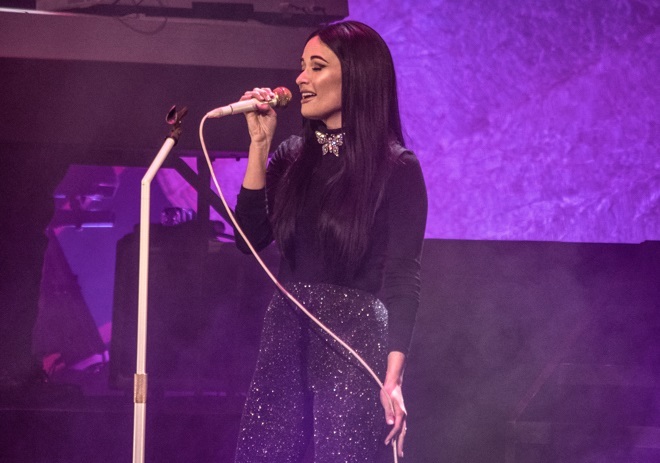 Indeed, every song from the album was performed, something of a rarity it has to be said, and a pointer as to how confident in this material Musgraves is. Her relationship and marriage last year to fellow country star Ruston Kelly resulted in the songs on Golden Hour, a somewhat euphoric collection of love songs that reflect the magical feeling of finding your soulmate. But the songs aren’t all candyfloss and kittens sweet – Musgraves has something of a wild-child reputation – ‘Mother’ for example reportedly written while she was high on LSD or the line “Roll up a joint – I would” in ‘Follow Your Arrow’ is hardly opaque. 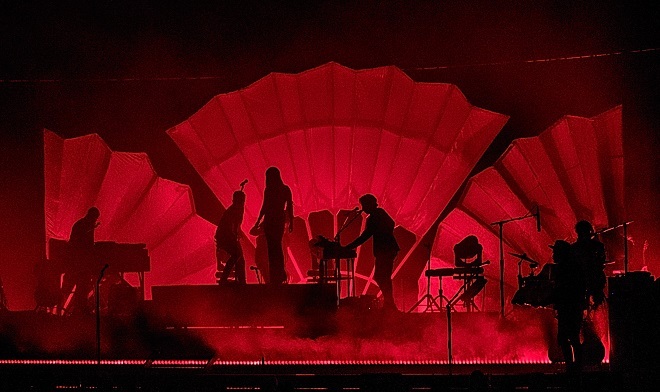 Looking sleek and dressed in black top and black sequinned trousers, she opened her Sage show atop a set of steps, against a backdrop of three open fans, playing guitar on ‘Slow Burn’, before making her down to the main stage for a catchy ‘Wonder Woman’. Two further ‘Golden Hour’ songs followed in ‘Butterflies’ and ‘Lonely Weekend’. It was then back to her 2013 debut, ‘Same Trailer, Different Park’ album, for ‘Keep It To Yourself’ and ‘Merry Go Round’, the song that won her the Grammy award for Best Country song and which received a rousing reception. ‘High Time’, the sparse, atmospheric song about the importance of your roots was one of the evening undoubted high spots, the pedal steel playing sublime. 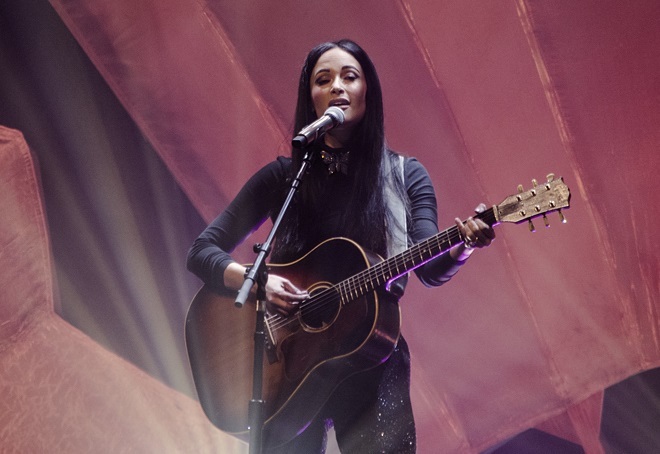 Musgraves strength is that not only is she a wonderful vocalist and songwriter, capable of writing great country songs, but also turning her hand to more poppy, danceable material like ‘High Horse’, which closed her show at the Sage and had folks up on their feet. This was Musgraves, veering towards Katy Perry and Kylie territory, and making a damn fine job of it too. For now, she continues to shine and it will be interesting to see where her next album takes her – will it be a return to more traditional country or further travels outside the genre? 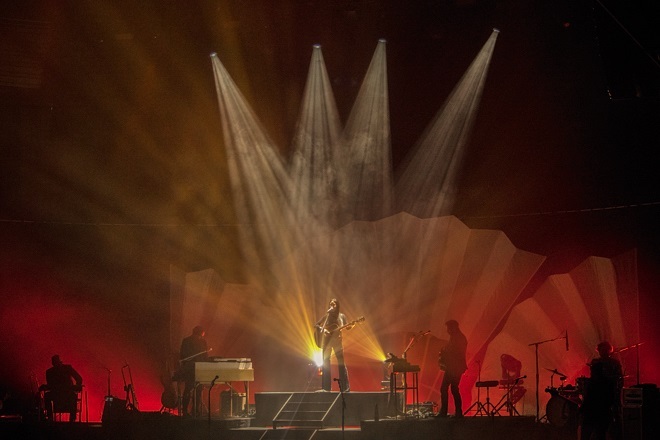 But on the basis of the current album and crowd pleasing performances like this one it may be the last time we see her in venues of this size as a move to arenas seems inevitable.